Dazzle them in the Kate Spade New York® Pleated Sweater Dress. Scalloped, jewel neck, shift dress. Rainbow godets along the circle skirt. 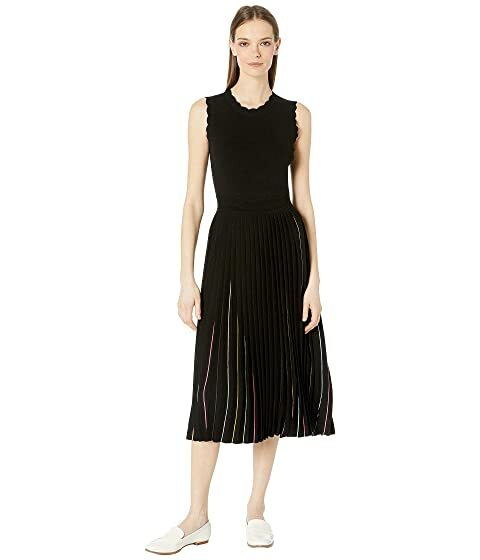 We can't currently find any similar items for the Pleated Sweater Dress by Kate Spade New York. Sorry!